Get “The Keeper” for Free! 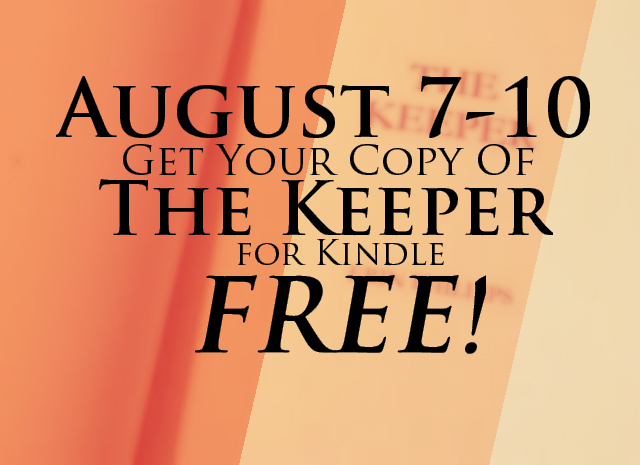 This weekend, August 7 through August 10, “The Keeper” will be available for FREE for Kindle! If you have been on the fence about buying “The Keeper”, be sure to download your copy this weekend! If you don’t have a Kindle, don’t worry! You can still read the book on tablets, computers, or even your smartphone just by downloading the Kindle app! Only 2 More Days Left To Get “The Keeper” For FREE!